A handy appliance that makes your daily chores in the kitchen easy is a blender. 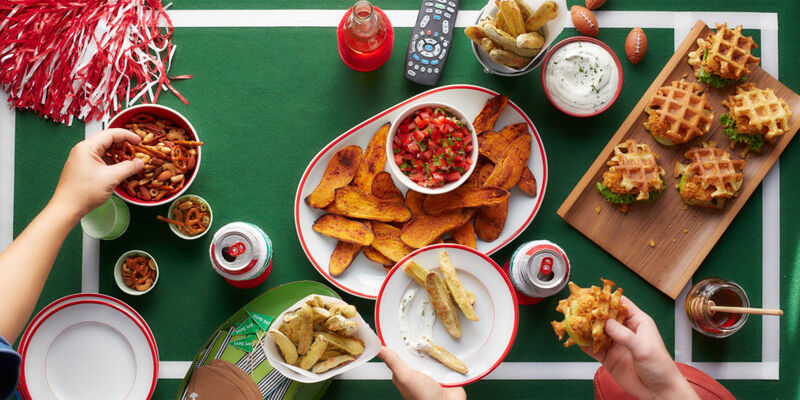 Loaded with a lot of features such as preset functions and overheating protection, a blender is useful in making a number of dishes with a single touch. 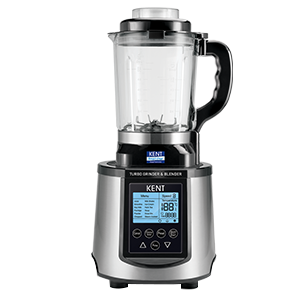 Some of the advanced blenders, such as the one from KENT also comes with a heating function, which makes it easy to make soups without any extra efforts. In addition, a blender can also be useful in a number of different ways that many of you may not know. So in this blog, we discuss some genius ways to use a blender and grinder. A filling and healthy way to start your day, smoothies provide you with essential nutrients to help you stay active throughout the day. However, making a smoothie in a grinder or juicer is a hassle. This is where a blender can help you out. With the help of a high power blender, you can easily prepare soft, creamy smoothie within minutes. Whether you prefer green smoothie or a fruity one, you can prepare it all using a blender. A warm bowl of soup is the perfect companion on a chilly evening. However, making soups in a traditional way is not only time taking but also cumbersome. An easy way to make soups is by using KENT Turbo Grinder and Blender. 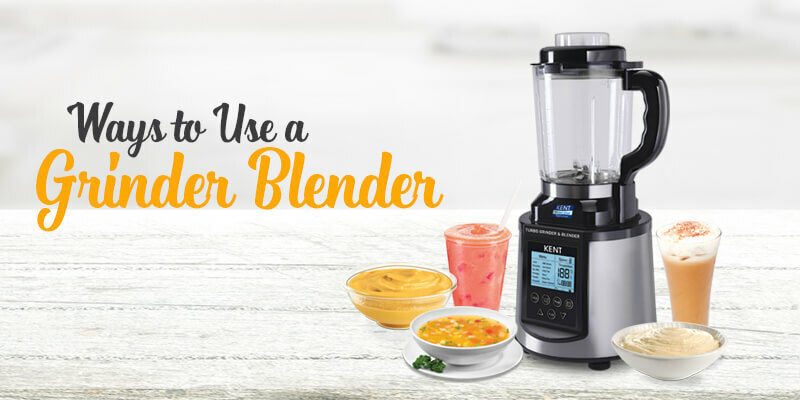 A blender is an ideal way to make soups, especially when you have potatoes or starchy vegetables in it. 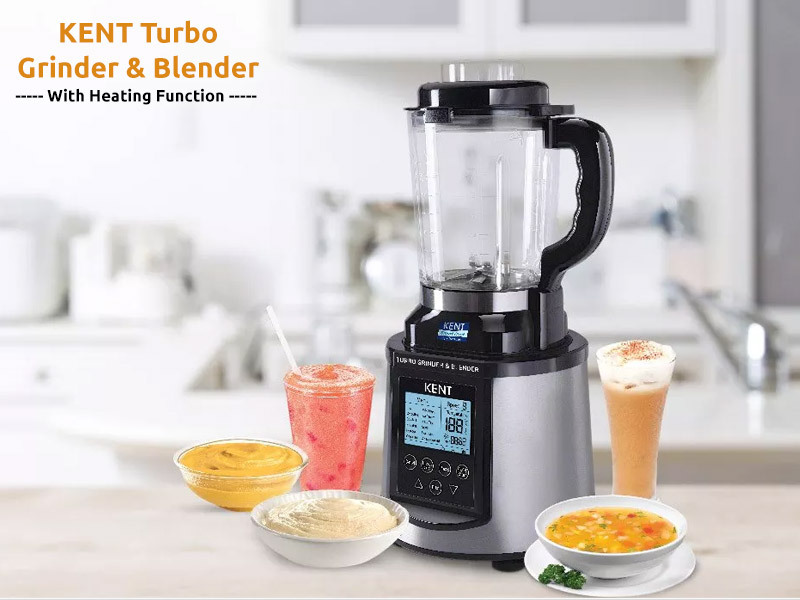 You can get perfectly smooth and lump-free soup with KENT Turbo Grinder and Blender. Whisking eggs manually is a tough task, especially in the morning. If you love eating scrambled eggs for breakfast, you can use a blender to prepare soft and fluffy eggs. Just whir the eggs in the blender for a few seconds and you can serve a plateful of fluffy eggs in minutes. If you are health conscious, peanut butter is a must with toast for breakfast. However, the store-bought peanut butter that you use may not be as healthy as you think. A healthy alternative is to make peanut butter at home with the help of a blender. With the help of the blender, you can make peanut butter according to your desired consistency and flavor. Add peanuts of your choice and blend. You can also add a pinch of salt or squeeze a little honey depending on the flavor that you prefer. One of the most useful appliances in your kitchen, a blender makes it easy to prepare a number of dishes within minutes. In addition to the uses mentioned above, there is a lot that you can do with a blender. However, make sure you check the features of the product to ensure that it meets your specific needs.